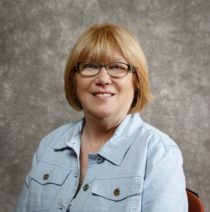 Nancy O'Rourke has been a practicing nurse practitioner (NP) in acute care for 25 years. She is the immediate past president of the Massachusetts Coalition of Nurse Practitioners. During her tenure, Ms. O'Rourke spearheaded legislation to recognize NPs in state law as primary care providers. This legislation was the first of its kind in the U.S. Ms. O'Rourke is the Region 1 Director for AANP and actively lobbies the NP agenda locally and nationally. Ms. O'Rourke holds a gubernatorial appointment to the Health Care Quality and Cost Council Advisory Board, which oversees universal health care quality initiatives in Massachusetts. She is a member of the Massachusetts Medical Home Steering Committee and is actively involved in payment reform efforts. Ms. O'Rourke is also the lead representative for AANP's Region 1 and 2 Multistate Reimbursement Alliance, is an active member of the Nursing Leadership Council working on scope of practice issues and is a member of the Coalition of Advanced Practice Nurses in Massachusetts.